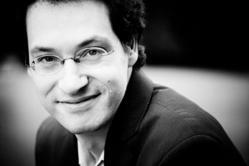 BBC Symphony Chief Conductor Jiří Bělohlávek will lead the Baltimore Symphony Orchestra and award-winning pianist Shai Wosner in Beethoven’s Piano Concerto No. 4 on Friday, March 16 at 8 p.m. and Sunday, March 18 at 3 p.m. at the Joseph Meyerhoff Symphony Hall and Saturday, March 17 at 8 p.m. at the Music Center at Strathmore.Jiří Bělohlávek will also direct an extremely colorful collection of works from his native Eastern Europe, including Dvořák’s Carnival Overture, Zoltán Kodály’s Dances of Galánta and Taras Bulba by Leoš Janáček. BBC Symphony Chief Conductor Jiří Bělohlávek will lead the Baltimore Symphony Orchestra and award-winning pianist Shai Wosner in Beethoven’s Piano Concerto No. 4 on Friday, March 16 at 8 p.m. and Sunday, March 18 at 3 p.m. at the Joseph Meyerhoff Symphony Hall and Saturday, March 17 at 8 p.m. at the Music Center at Strathmore. Israeli-American pianist Shai Wosner, who recently completed his residency as a BBC New Generation Artist, has appeared with numerous major orchestras such as the Cleveland Orchestra, Los Angeles Philharmonic and Vienna Philharmonic Orchestra. In addition to Wosner’s performance of Beethoven’s fourth concerto, guest conductor Jiří Bělohlávek will also direct an extremely colorful collection of works from his native Eastern Europe, including Dvořák’s Carnival Overture, Zoltán Kodály’s Dances of Galánta and Taras Bulba by Leoš Janáček. Please see below for complete program details. In contrast with Beethoven’s earlier, conspicuously dazzling concertos, his fourth concerto is adored for its unique serenity and intimacy. In the concerto’s highly popular second movement, a movingly lamenting piano part is said to depict Orpheus taming spirits of Hades – the spirits being portrayed in loud, staccato orchestral passages. When he performed Beethoven’s fourth concerto with the St. Paul Chamber Orchestra in fall of 2011, Wosner’s performance was said to be “disarmingly intimate” (St Paul Pioneer Press). Completed in the summer of 1891, Dvořák’s Carnival Overture was dedicated to the Czech University of Prague after they had bestowed an honorary doctorate on the prominent Czech composer. At this time, Dvořák was widely recognized as the greatest nationalist composer of his home country and was invited to become director of the National Conservatory of Music in New York, an offer that he accepted the following year. In the words of the composer, the ebullient Carnival Overture portrays, “a lonely, contemplative wanderer reaching at twilight a city where a festival is in full swing. On every side is heard the clangor of instruments, mingled with shouts of joy and the unrestrained hilarity of the people giving vent to their feelings in songs and dances." In the preface to Dances of Galánta’s printed score, Hungarian composer Zoltán Kodály wrote that he spent “the most beautiful seven years” of his childhood in the town of Galánta. As a young child growing up in this small Hungarian market town, Kodály would hear the town band, led by the fiddler Mihók, as well as folksongs sung to him by servants and schoolmates. Over 40 years later, he pulled from these fond childhood memories to create Dances of Galánta, which was premiered by and dedicated to the Budapest Philharmonic Society in 1933. The violent, bloody story of Taras Bulba, by Russian novelist Nikolai Gogol, is set in 16th century Ukraine and centers around an aging yet fervent warrior, whose name the title bares, and his two sons. In the story, Taras Bulba brings his sons to the battlefield when they are just out of school, only to watch them die. A great admirer of Gogol, Janácek composed Taras Bulba as a tone poem in three scenes, each describing the exploits of the hero and his sons. A true man of the theater, Janácek paints an epic canvas of love, honor, and death, and ends in a blaze of virile Slavic grandeur. The renowned Czech maestro Jiří Bĕlohlávek took up the position of Chief Conductor of the BBC Symphony Orchestra in July 2006. Founder and Music Director Laureate of the Prague Philharmonia, Maestro Bĕlohlávek studied at the Prague Conservatoire and Arts Academy. He appears regularly with major orchestras including the Leipzig Gewandhaus, Vienna Symphony, Berlin Philharmonic, Royal Concertgebouw, Philharmonia, London Philharmonic, NHK Symphony (Tokyo) and the Orchestre de Paris. In North America, he conducts the symphony orchestras of San Francisco, Washington D.C., St. Louis, Toronto, and Minnesota. In his homeland, Jiří Bĕlohlávek was appointed President of the Prague Spring Festival in 2006. Jiří Bĕlohlávek has been Chief Conductor of the Prague Symphony (1977-89) and Music Director of the Czech Philharmonic (1990-1992), with whom he has recorded extensively for Chandos Records. He founded the Prague Philharmonia in 1994, and has recorded and toured extensively with this ensemble, including a televised appearance at the BBC Proms in July 2004. He was appointed Principal Guest Conductor of the BBC Symphony Orchestra in September 1995, immediately following his debut with the orchestra conducting The Epic of Gilgamesh by Martinu. Highlights of the 2009/10 season included returns to the Berlin, Czech and Japan Philharmonic orchestras as well as a complete cycle of Martinu symphonies with the BBC Symphony Orchestra and a new production of Martinu's Plays of Mary at the National Theatre in Prague. During the 2010/11 season he led a new production of The Makropoulos Case at San Francisco Opera and conducted, amongst others, the Leipzig Gewandhaus, Dresden Staatskapelle, DSO Berlin, Valencia, Rotterdam and Cleveland orchestras. Pianist Shai Wosner has attracted international recognition for his exceptional artistry, musical integrity, and creative insight. His performances of a broad-range of repertoire from Beethoven and Mozart to Schoenberg and Ligeti, as well as music by his contemporaries, communicates his imaginative programming and his intellectual curiosity. Mr. Wosner’s virtuosity and perceptiveness have made him a favorite among audiences and critics, who have praised him for his “keen musical mind and deep musical soul” (NPR’s All Things Considered) and for exemplifying a “remarkable blend of the intellectual, physical and even devilish sides of performance” (Chicago Sun Times). Mr. Wosner’s debut recording, released by Onyx in the fall of 2010, juxtaposes works by Brahms and Schoenberg and explores the inner connections between the musical languages of the two composers. The album was called “inventively conceived and impressive” by The New York Times. In the 2010-2011 season Mr. Wosner appeared with the Dallas Symphony Orchestra, St. Paul Chamber Orchestra, the Bournemouth Symphony and the National Arts Centre Orchestra. He also performed solo recitals at Wigmore Hall (which was broadcast live on BBC Radio 3), at Cardiff's Hoddinott Hall and at the Piano Aux Jacobins festival in France, duo recitals with clarinetist Martin Fröst, bass-baritone Dietrich Henschel, and violinist Jennifer Koh, and chamber music with the Miró Quartet for the Philadelphia Chamber Music Society. Mr. Wosner recently made his highly acclaimed subscription debut with the Chicago Symphony Orchestra and was invited to return later that year to perform with the orchestra at Ravinia. He also recently performed with the Los Angeles Chamber orchestra from the keyboard, in a performance broadcast on American Public Radio. He has appeared with numerous major orchestras in North America, including the Los Angeles Philharmonic at the Hollywood Bowl, the Orpheus Chamber Orchestra, and the symphony orchestras of Atlanta, Baltimore, Cleveland, Dallas, Indianapolis, Milwaukee, Philadelphia, and San Francisco. In Europe, he has appeared with the Staatskapelle Berlin, Gothenburg Symphony, Barcelona Symphony, Frankfurt Radio Symphony, Orchestre National de Belgique and Nieuw Sinfonietta Amsterdam, among others. In 2006, he debuted with the Vienna Philharmonic Orchestra in Salzburg, during the 250th anniversary celebrations of Mozart's birth. He has worked with conductors such as Daniel Barenboim, Zubin Mehta, Leonard Slatkin, Donald Runnicles, Alan Gilbert, Peter Oundjian, Gunther Herbig, James Conlon, Jiří Bĕlohlávek and James Judd. Mr. Wosner is the recipient of an Avery Fisher Career Grant and he recently completed a residency as a BBC New Generation Artist, during which he played frequently with the BBC orchestras, including appearances conducting Mozart concertos from the keyboard with the BBC Scottish Symphony Orchestra. He also returned to the BBC Scottish Symphony in both subscription concerts and performances at the Proms with Donald Runnicles, and appeared with the BBC Philharmonic in a live broadcast from Manchester's Bridgewater Hall. His performances in recital, chamber music, and with orchestra continue to be broadcast on Radio 3. Tickets range from $29 to $88 and are available through the BSO Ticket Office, 410.783.8000 or BSOmusic.org.